Handmade 7-row bracelet with three rows of seed beads and Hematites and only 4 rows with seed beads, mounted on silver nickel-free metal memory wires for a 15.5 cm wrist. 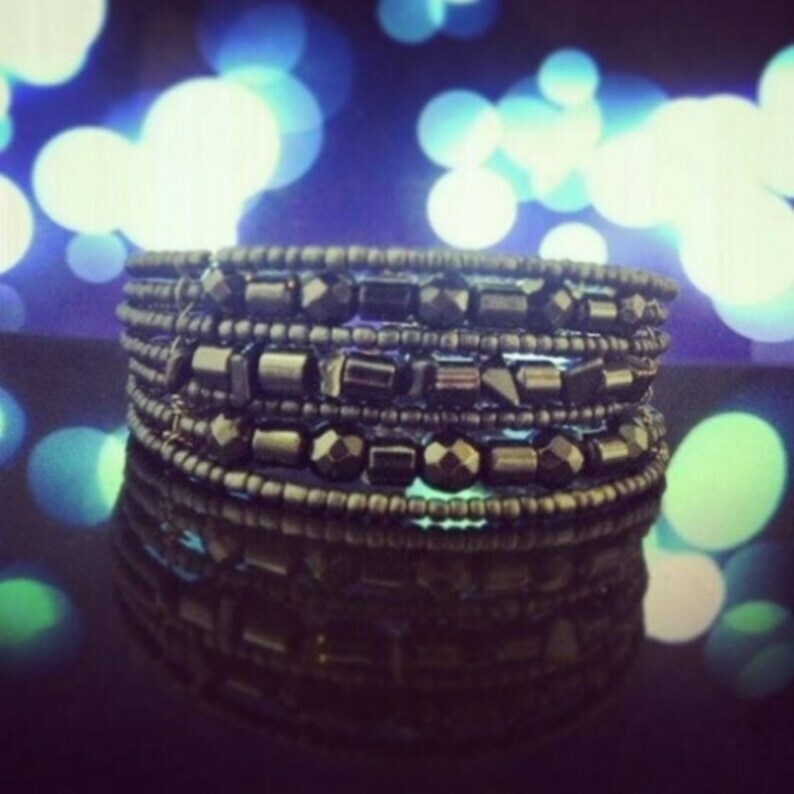 Hematite relaxes, purifies and energizes. Calm also hemorrhages. Also facilitates the oxygenation of the blood. Regulates menstrual disorders. Stimulates the will, courage and self-confidence. Very useful for shy people. Elastic bracelet braided 6 rows in chips of Eye of tiger. Feather earrings Hematite 12 cm in length approx. Hematite long earrings with girl charm.